Even when I was busiest during December I managed to get to the gym or get out birding every single day except for the week when Tyson and his family were staying with us. I managed to get out to Theler Wetlands and Port Orchard at least once a week on days when my weather app said it was supposed to be sunny, or at least not raining. More often than not, though, it would actually be foggy when I arrived at Theler, and sometimes it wouldn’t clear up until I had gone to Port Orchard. 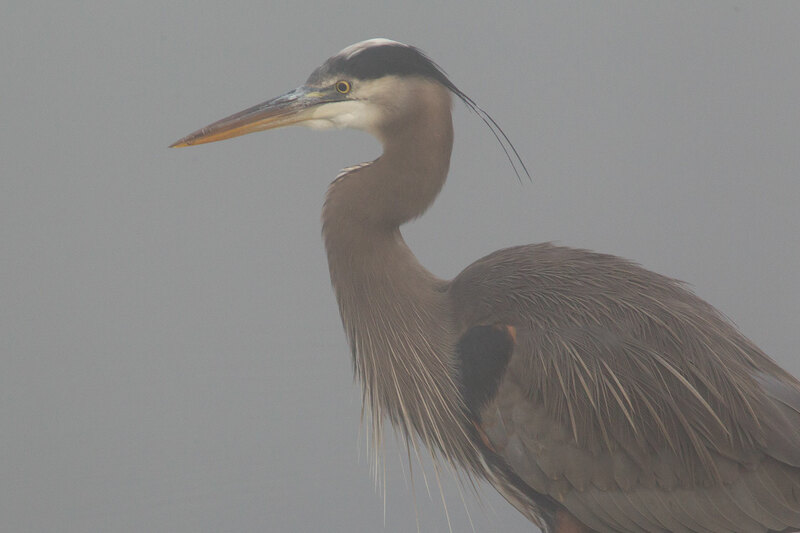 If I were just a “birder” and not a “wildlife photographer,” I think I might actually prefer visiting in the fog because I often get closer to birds and even see birds I might otherwise not see at all. 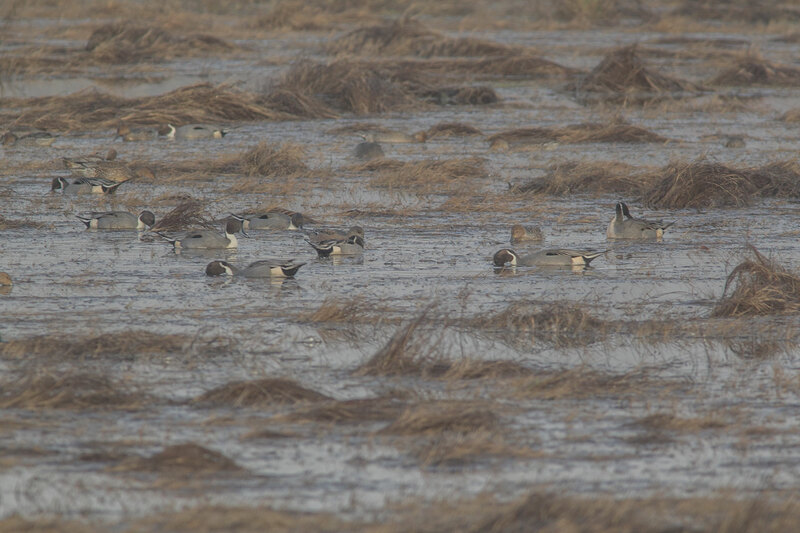 For instance, on each foggy visit I was greeted by hundreds of Northern Pintails, though most, if not all, would be gone if it was sunny when I returned. though, of course, the picture lacks the kind of detail that you get further away on a sunny day. 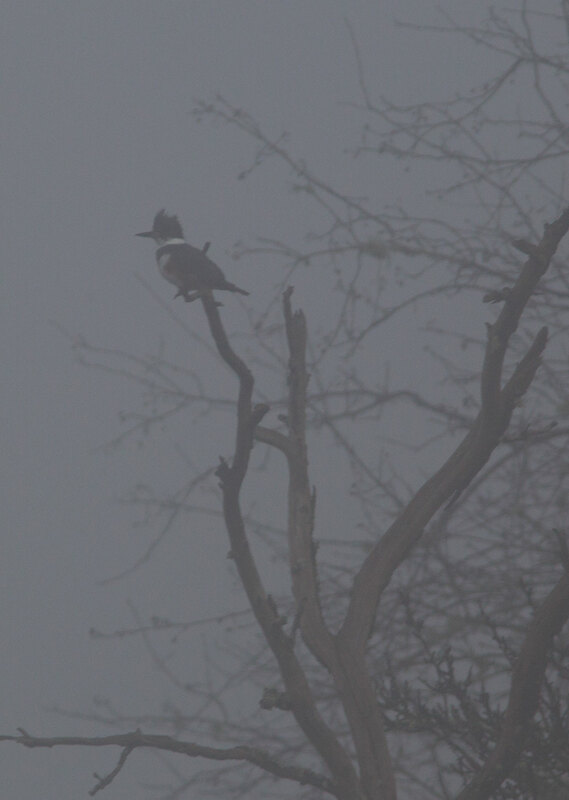 Heck, the Belted Kingfisher that drives me crazy by flying away every time I try to get a shot was even willing to pose when it knew the shot would be barely recognizable. 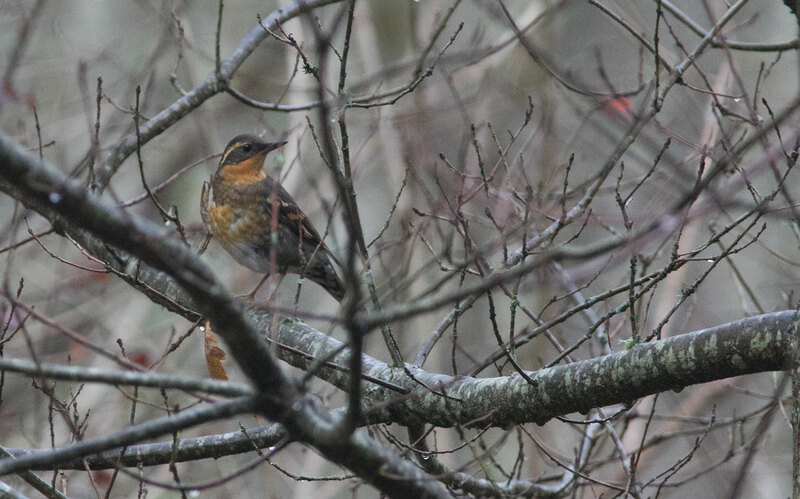 On a day when it was still foggy by the time I returned to the visitor’s center, I even managed to get a shot of the reclusive Varied Thrush. Despite the lack of photographic opportunities, I enjoy walking in the fog. Although it’s always peaceful walking Theler, it seems even more so when it’s foggy because the fog dampens the noise from nearby houses and roads, just as it limits your view to the wetlands itself.